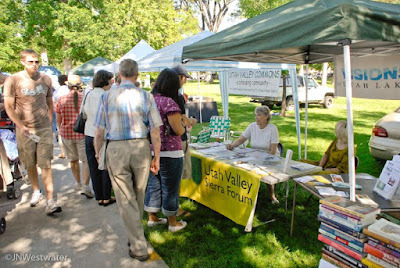 Marsha mans the UVSF booth on Saturdays at the Provo Farmer's Market. She's helping to spread the word about the UVSF, environmentalism, Visions of Utah Lake and Living Green in Utah Valley. Marsha is also helping generate new friends of the UVSF. Thank you, Marsha!